Concrete is one of the most popular building materials for sidewalks, patios, and of course, driveways. Concrete is strong, durable, low-maintenance, and offers a lifespan of up to 50 years under the right conditions. In addition, concrete offers curb appeal and can improve the value of your property. With a concrete driveway, you can put the finishing touch on your home or building and at Mr. Pavement, we can help you do it! Concrete has been around since the mid-1800s and has been a popular building material for more than 100 years. While many home and business owners believe concrete and cement are the same thing, they are not. In fact, cement (pulverized limestone and clay) is one of the materials that is used to make concrete. Concrete consists of a variety of stone aggregates, and what binds these aggregates together is a mixture of water and cement. Once the concrete is mixed to the right consistency, it can be formed into a variety of elements. At Mr. Pavement, we’ve spent more than 10 years perfecting our paving services for homeowners and business owners. For every concrete driveway, we work to provide a safe, stable place for your vehicles while also boosting curb appeal. And with our skills and knowledge, we can have your installation completed quickly and affordably. Our team of concrete experts can help you design the perfect driveway including the size, shape, placement, and more. Once we have the details, we’ll prepare the area and pour your high-quality concrete mixture. After that, we’ll level out your driveway and complete the finishing touches. 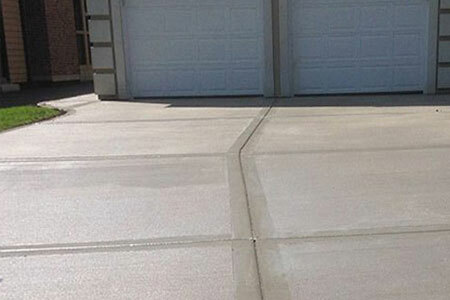 Once it’s dry, you’ll have a beautiful, durable concrete driveway that improves the look of your home or business. To learn more about our materials or process contact Mr. Pavement today. 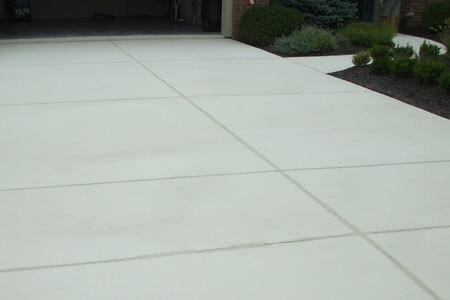 If you’re ready to start your concrete driveway installation, request a free estimate.